Start taking classes at Kur Wellness Studios and other studios! A new and different spa and yoga center, Kur Wellness Studios offers both traditional and "eastern" services such as ayurvedic treatments and products to hot yoga with a yoga wall. 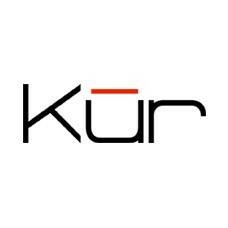 Kur offers unique services in a tranquil, yet hip, urban setting. All while surrounded by the best team of practitioners around - each with positive attitudes and true commitments to health. Please bring a mat for yoga. Mats are also available for rent at the studio for $2. Great workout. Pretty spa yoga studio is set inside. Massages and facials also provided (not via CP) at spa. Melissa is a great and engaged instructor. She reads a class very well to suggest modifications. Best instructor! Honestly my favorite yoga class. I had the best time - what amazing people and what a difficult but exciting and upbeat workout! Cant wait to go back! Fine class, not my fave teacher: a little cold, a bit prescriptive. Softness would help here. Beautiful, customizable and supportive flow. My only critique is that I'd like a little more time to get deeper into each pose.